Are chips, fractures, or discolored teeth detracting from the beauty of your smile? If so, cosmetic dentistry treatments can mask aesthetic flaws and produce a more balanced, symmetrical appearance. At our Redwood City, CA dental practice, Dr. Jean Barthman offers a wide range of cosmetic treatments, including dental bonding, Invisalign®, teeth whitening, and porcelain veneers to help patients have a more attractive smile. Here, we discuss porcelain veneers vs. dental bonding and explain the pros and cons of each. The dental bonding process involves the application of composite resin to the affected teeth. Composite resin is the same material used when restoring the teeth with tooth-colored fillings. To conceal minor chips, cracks, discoloration, and other flaws, Dr. Barthman applies the composite, shapes it, and then hardens it with a special curing light. Final adjustments are made, and the teeth are polished to a natural-looking shine. The most significant benefit of dental bonding is its affordability. This procedure is one of the most cost-effective options in cosmetic dentistry. In addition, the natural tooth structure does not have to be reduced. Therefore, the procedure is completely reversible. While bonding is effective, composite resin is prone to staining. Therefore, patients who choose this option should consume dark-colored foods in moderation. Generally, dental bonding lasts about six to seven years with proper care and maintenance. Veneers are custom restorations crafted from layers of pure ceramic porcelain. Designed to adhere to the front surfaces of the teeth, veneers can mask a wide range of cosmetic imperfections, such as discoloration, chips, cracks, gapped teeth, and minor misalignment. In general, veneers can be placed in two office visits. During the first appointment, the teeth are prepared and impressions are taken. At the second visit, the final restorations are placed. Veneers offer several advantages. 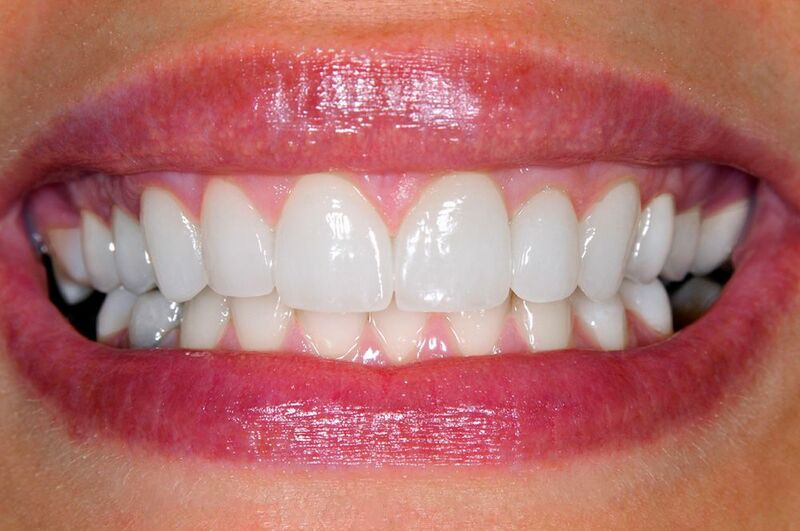 First, damage that is too extensive to be addressed with bonding can often be corrected with veneers. Custom-crafted veneers are designed to blend in with your natural dental anatomy for results that are balanced and beautiful. The most notable disadvantage to porcelain veneers is that some natural tooth structure must be removed during the process. In order for the veneers to fit properly, your dentist must file down some of the enamel on the front surfaces of the affected teeth. Because of this, treatment is not reversible. Second, veneers will need to be replaced at some point. On average, veneers last between 10 to 15 years. With advanced materials and methods, however, veneers can last upwards of 20 years with proper care. If dental damage or aesthetic concerns have left your smile looking lackluster, consider what cosmetic dentistry can do for you. To explore your options, schedule a consultation with Dr. Barthman. She can help you determine if dental bonding or porcelain veneers are right for you. Contact us online or give us a call at (650) 367-4967.